It’s D-Day for Arun McEwan. 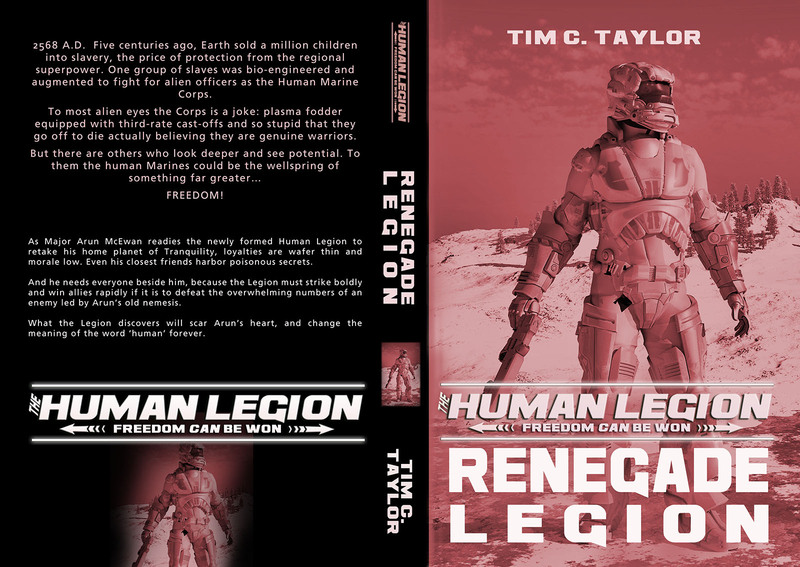 Renegade Legion is live! Poor Arun. After running for his life for much of Indigo Squad, Arun has it even harder in the new Human Legion book, Renegade Legion. Fighting for freedom is hard, but winning freedom is far more difficult, as Arun and his comrades are about to find out. 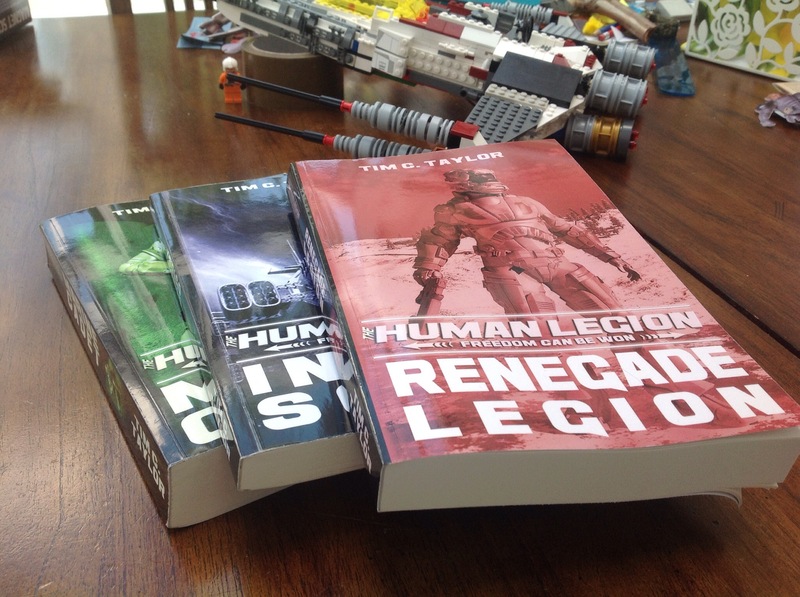 The Human Legion Book3: Renegade Legion is published today in Kindle eBook and in paperback. Click here for the eBook and here for the paperback. If you enjoy this book, or one of the earlier ones, then do please leave a good review on Amazon or Goodreads. It does make a big difference to my ability to earn a living writing books. My sincere thanks to everyone who has left a review so far. Even if you thought the book stinks and told me so, I still appreciate you taking the time to read my work and let me know what you thought. We can fix that, I’ll sponsor your citizenship to Virginia… aka GOD’S COUNTRY!!!! You’ll love… The kids will love it, it’s warmer here than in Merry Ole England!!! Of course, you’d have to trade your Queen for the Bush’s and the Clinton’s…. That might be hard to swallow, but it’s a small price to pay for Virginia!!! Your dad thinks it is good enough for number 1, your legion friends think it is a winner. Think positive and you will win. Tim, listen to your father!! NCO’s lead the way, well said Corporal!! Tim don’t set your sights too low. Go metric and aim for book in top 100 (all books chart) selling at 10$! achieve that and you could buy your dad a pint to celebrate. It’s a good plan, but if I went metric you’d have to make do with a half litre.